“Out on a Limb” is designed to create and stage new one-act plays, and strives to develop and produce new work that will engage playwrights and theater artists. This year’s festival runs July 13-22. “Monsters of the American Cinema” by Christian St. Croix; directed by James P. Darvas; featuring Thonie Lee and Aaron Lugo: When his husband dies, Remy Washington finds himself both the owner of a drive-in movie theater and a caregiver to his late husband's 16-year-old son, Pup. Both enamored with classic monster movies, their relationship is warm and witty, but not without strain. “Desert Oasis Garden Club” by Gabino Cabanilla; directed by Don Loper; featuring Dori Salois, Pamela Brittain, Connie Terwiliger and M. Eliane Weidenaur: Marge lives in a retirement community. She is alone and her deceased husband left her with enormous debt. Her two BFFs have a solution to supplement Marge’s income. They invite her to join the Desert Garden Club. “Anomaly.exe” by Salomon Maya; directed by Hannah Logan; featuring Amara Young and John Carroll: Valerie and Brad have the perfect house, perfect marriage, perfect life. In the-not-too-distant future, technology allows the couple to build the perfect son, yet they realize perfection, or at least the pursuit of it, might very well disrupt the very symbiotic relationship they tried to maintain. Scripps Ranch Theatre is on the campus of Alliant International University. 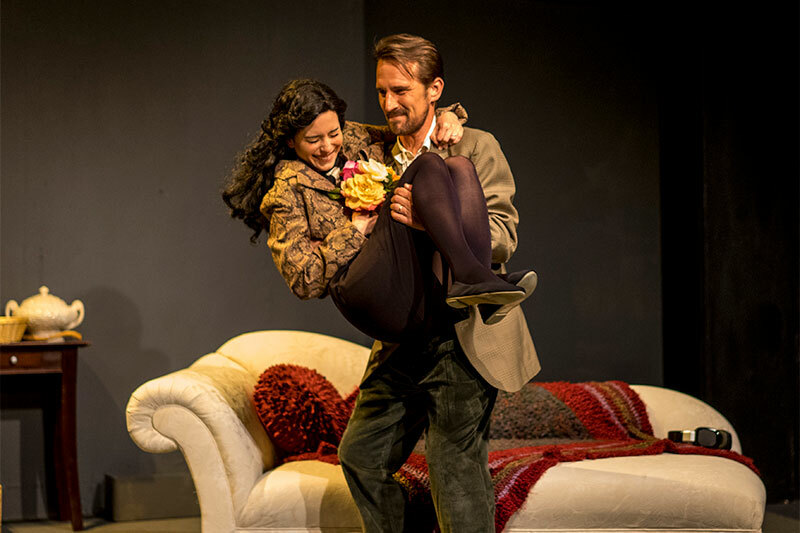 “Out on a Limb: New Plays from America’s Finest City” runs July 13-22 on Fridays and Saturdays at 8 p.m., and Sundays at 2 p.m. To reserve seats call (858) 578-7728. Visit scrippsranchtheatre.org.